B Beyond was once again a guest of international art patron Pearl Lam for the opening of her new Hong Kong gallery to coincide with the annual art fair there. 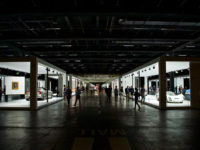 The events were the culmination of a year-long re-branding of the original Contrasts gallery into a global fine and contemporary art dealership set to encompass galleries throughout Asia. The expansion is a logical one – Pearl Lam has established a solid reputation and regular collectors have enjoyed not only the works they have purchased over the years but also the knowledge that they have made a sound investment. In Howard Bilton’s words, she looks after her artists. The new gallery itself is situated at the Pedder Building, along with White Cube, Gagosian, Ben Brown and a spade of other big names. In terms of attendance, the gallery opening was so much of a success it nearly defeated its own purpose. As I arrived at the entrance of the building at 6.30 pm, a massive queue had already formed, with people waiting patiently in the humid heat of the early evening to access either lift or stairs. The corridor leading to the gallery itself had countless flower baskets from well wishers lining the walls. The Mindmap exhibition had works by Li Huasheng, Li Xiaojing, Qiu Zhenzhong, Su Xiaobai, yan Binghui, Zhang Jianjun and Zhu Jinshi. These were imposing canvasses (everyone who knows Pearl Lam knows she has a penchant for large works), with Zhu Jinshi drawing a lot of the attention because collectors of his work are already on a waiting list (the artist’s output is limited by a heart condition). Invitation cards were handed discretely to 100 fortunate revelers who did not, up to that point, know the location of the secret post-private view dinner. 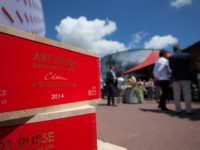 The dinner itself was held on a historic Chinese junk in Aberdeen Bay, preceded by a drinks reception for the good and the great in the art world as well as HK society figures. Li Huasheng was born in Yibing, Sichuan Province in 1944. His early works were in the style of traditional literati paintings, although by the mid-1980s, he began to pursue a more subjective painting style. Around 1997, Li began to give up any reference to image, and his structure became simpler, leaving only works composed of short lines. His process is comparable to Zen meditation, where the brushstroke is a reflection of one’s soul. He draws lines on Xuan paper every day, focusing on the composition in relation to the lines in ink, overlapping one over another. It is through this repetition that he creates a form of “writing” that is neither performance nor reproduction. His individual style of writing has become a diary, as dots and lines act as a creation timeline. Thus, Li always names his artwork by date and time, e.g. 9803 was completed in March in 1998. Unlike Western abstract art, Li’s grid drawings do not focus on the grids per se, but rather on the process of forming them, as he feels that they cannot represent the spiritual order of the external world or the objective existence of a material object. Li Xiaojing was born in Shandong Province in 1981. She earned her bachelor’s degree in Printmaking from the Sichuan Fine Arts Institute in 2001, and master’s degree in Oil Painting in 2009. Li currently lives and works in Beijing. Li Xiaojing’s works always show a sense of discipline. The greyish background and lines are placed asymptotically to express the particular detail of daily life. Her works Orion and Arthropods illustrate that landscapes are not landscapes through the inference of rules. Orion was thought to be a portrayal of the constellations, but in fact it indicates the sense of order of the stars in the universe; Arthropods, a spider, enlarged and scabrous, occupies a painted world of spots, splashes and scratched lines. Presented in this way, it is seen anew. Its physical features are echoed in the context created by Li’s painting: dark, scratchy, probing. There is the impression not only of the spider’s appearance, but a whole sense of the creature and its world, a glimpse perhaps of what it is to be that living thing. These are poetic insights, in which the mysterious essence of different phenomena is, as it were, extended and given visible form. Li’s paintings are a reminder that such perceptions are possible only in a metaphorical visual language that goes beyond the capacity of words. Qiu Zhenzhong was born in Nanchang in 1947. Not only is he an artist, but he is also engaged in the creation of poetry and study of art theories. Currently, Qiu holds the following positions: Professor (Doctoral Supervisor) at the China Central Academy of Fine Arts, Director of the Calligraphy and Painting Comparative Research Centre, Member of the National Art Museum of China Expert Committee, and Vice Director of the Chinese Calligraphers Association Academic Committee. Qiu Zhenzhong has demonstrated a subtle control of space, time and lines, which shapes his unique style of art that combines elements of Chinese calligraphy and modern art. However, Qiu’s works focus on exhibiting high aesthetic value, rather than advocating the didactic purpose of calligraphy. The only way of serving the contemporary through aesthetics is to liberate Chinese calligraphy from its typical ideology, so as to transform its aesthetic function into something more authentic and absolute. This idea is clearly evident in his 1988 series Characters To Be deciphered, which are inspired by the unverified characters from bronze vessels dating back to the Shang and Zhou dynasties. Unlike Xu Bing, who created “false characters” and Gu Wenda’s “typos”, Qiu has not attempted to alter the structure of the Chinese characters, but instead has resurfaced the unrecognisable. The artist perceived the symbols as characters, even though their meaning has yet to be recognised. The so-called “abstract” form effect from modern abstract paintings is unintentional; Qiu’s works embody the fundamental qualities of traditional calligraphy. The only difference is that Qiu has liberated and restored the characters. Su Xiaobai was born in 1949 in Wuhan, Hubei Province. He graduated from the Wuhan School of Art and Design in 1969, and later joined the Oil Painting postgraduate class at the Central Academy of Fine Arts in 1986. He was awarded an Arts and Culture Scholarship from Germany in 1987, which allowed him to pursue his postgraduate studies at the Düsseldorf State Arts Academy, from which he graduated in 1990. Su has been living in Germany and concentrating on his art since 1992. Su Xiaobai’s works are influenced by Western modernism, which stresses modernity in forms and material, while also cultivated by local Chinese culture. Su has had a special fondness for Chinese lacquer, which developed during his early years in industrial arts training. He feels that traditional Chinese lacquer technique is magnificent and delicate, and at the same time rich and weighty; nevertheless, the latter features are not immediately apparent. That is why he employs the lacquer techniques in his “painting”, which endows the lacquer with the “Literati grey” aesthetic, as he removes the clean and gaudy features of traditional lacquer. Therefore, the finished “paintings” possess a modern form of beauty. However, Su’s major concern is how to transform the beauty of the object into deeper cultural implications. His main focus is the enchantment of the material, i.e. the material imagination, where the image is only a glimpse of the ideas behind it, and not the artist’s way of expression. Yan Binghui was born in Tianjin in 1956. He graduated from the Tianjin Academy of Fine Arts in 1988, and at present is a Professor of Traditional Chinese Painting at the academy. He has been one of the most prominent Chinese modern ink-painting artists since the 1980s. Yan has always been an artist whose works are influenced by his life experiences. He has been dedicated to his own artistic creation for many years, never following artistic trends. yan extracts the expressiveness of traditional ink painting techniques and aesthetics, and infuses it into his works. due to the very personal nature of calligraphic expressions, yan’s artworks in the early 1990s were able to break through the barriers of traditional writing and forms, and strive towards “yi”, which means the “mind space”, or idea, intention, concept. In the mid-1990s, Yan Binghui began to adopt more of a dry ink brushstroke to apply layers of heavy ink to create a sense of texture in his works. The created texture is not only physically apparent, but also involves psychological feelings. Although the composition of his works is influenced by modern Western paintings, he also stresses Chinese culture and aesthetics. The elements of irregular geometry in yan’s works suggest images of Heaven and Earth, while the heavy layers of ink imply eternity, as in the ancient stone tablets. Zhang Jianjun was born in 1955 in Shanghai. He graduated from the Shanghai Theatre Academy’s department of Fine Arts in 1978, and moved to the United States in 1989. At present, he is a professional artist and guest professor at New York University. He is also a consultant and guest curator at the Shanghai Art Museum. 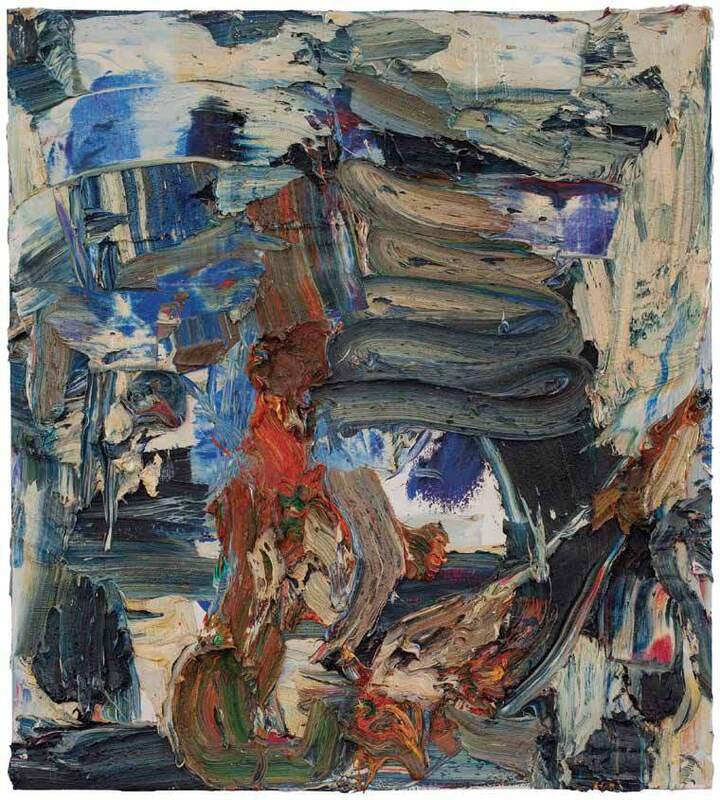 Zhang began to pursue abstract painting in the 1980s. He expresses his personal perspective on humankind and the universe through the integrity of language, and constantly explores the existence of the ontological status. 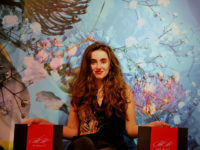 His work displays a great sense of belief and understanding of Oriental style. Zhang’s Noumenon (Existence) Series is typical of ‘rationalistic painting,’ a movement of Chinese avant-garde art that appears after 1985. ‘Rationalistic painting’ is also a branch of Yi Pai, where artists employ squares, circles, dots, and lines from traditional Chinese ink painting to depict the existence of the relationship between the material and universe. ‘Rational’ means concept and contemplation. The artists use loose and reserved brushstrokes to illustrate Oriental cosmology and existentialism. Zhang furthered his studies in the United States in the 1990s, and has since shifted his focus to installation art. Much of his work tries to explore the complicated relationships between different cultures, essentially between traditional Oriental and contemporary culture. 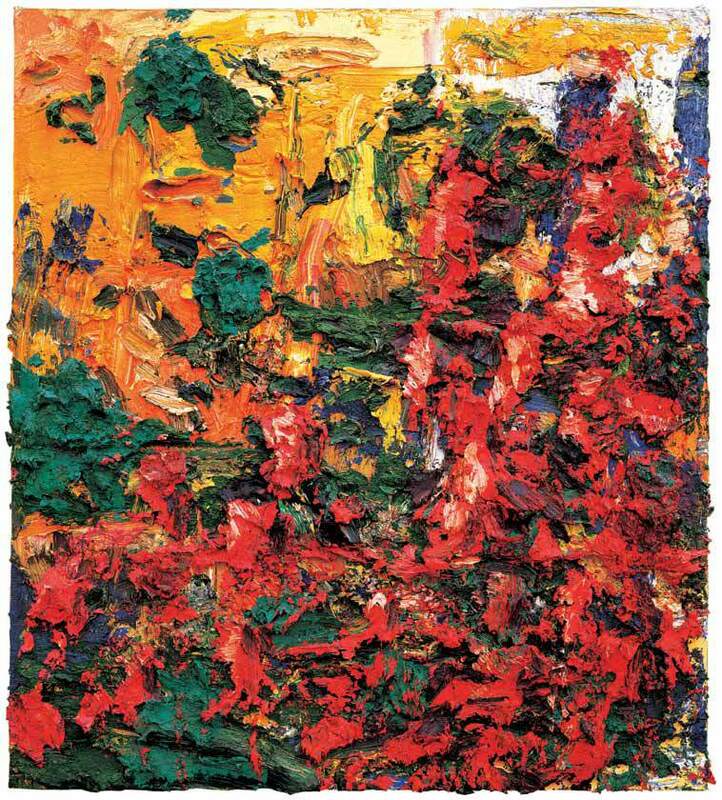 Zhu Jinshi was born in Beijing in 1954. He studied painting under Professor Li Zongjin, a Fine Art professor at the Central Academy of Fine Arts during the years of 1973 to 1977. Zhu moved to Germany in the mid-1980s and worked as a lecturer at the Architecture department at Berlin Institute of Technology (TU Berlin) in 1994. At present, he lives and works in Beijing. Zhu began painting abstract works in the late 1970s, and participated in the Stars group exhibition, the first avant-garde art exhibition after the Cultural Revolution. The core value of his art is best represented by traditional Chinese aesthetics, which emphasises the harmony between human beings and the natural world. 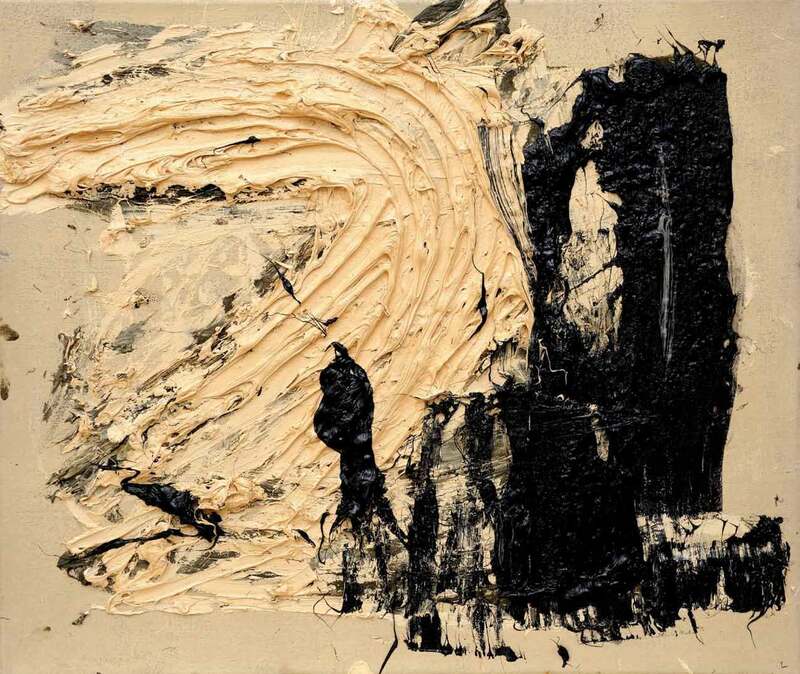 Zhu also uses traditional images that represent reality in his artworks; eventually the reality depicted is in the form of abstract art with completely free brushstrokes. This is not the logical analysis, summarisation, nor the expression of individual emotions. These images are the “mind images”, produced by the complete comprehension of the phenomenon. He believes only through the contact and dialogue with materials, that his perception and understanding of the world are well expressed. And it is through this process that these materials express images in his mind in a spiritual way. Following his return to painting in 2000, Zhu’s preoccupation with the creation of a complex physical entity now emerged with a new focused intensity. Working within the Western tradition of oil paint on canvas, and recently using board for greater rigidity, Zhu’s paintings far outstrip his Western counterparts in terms of their engagement with paint as substance. Often working on an expansive scale, Zhu applies pigment to a support, building a chromatic surface to an astonishing depth. Individual marks and passages project outwards in deeply textured and incised swathes. These are images that present paint as a material fact—one that is at once sensual, turbulent and visually intoxicating. yet the titles of these works are surprisingly specific: Shock on Hearing About Red Leaves Mountain; Meditation hall no.3, and so on. Such references are a reminder that, though abstract, Zhu’s work is rooted in metaphor. Experience—fleeting and internal—is embodied in the inert substance to which it is committed, and in which it finds an imaginative and deeply expressive equivalent.